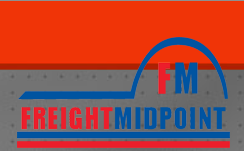 Freight Midpoint represents and promotes its members at the world's known and reputed events. We joined "ALMC - Asian Logistics and Maritime Conference" this year, 7 November 2013. ALMC is the Asia's Largest Conference for Logistics and Maritime Users together with Providers. Freight Midpoint had private booth there and participants' interest was on higher side. You may review photos below and next time, we can promote your company as well.